When significant investments are involved, it’s essential to partner with a quality environmental firm to protect your interests. The right company will provide the detailed services needed for due diligence and any follow-up action required. The wrong company will fail to produce the thorough inspections and reporting required to safeguard your investments. 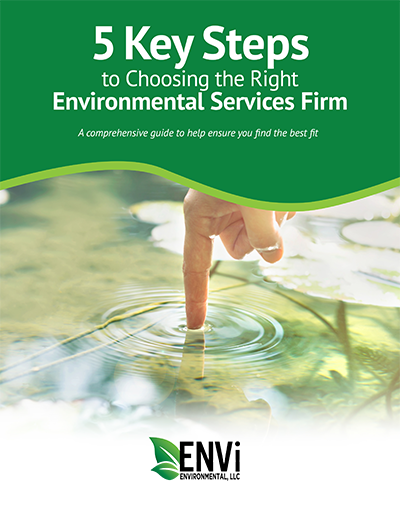 As you consider your options for environmental companies in Cleveland, OH, it’s important to know what to look for and what to avoid. Use the following guide to help you select a top-rated company that will deliver what you need. For thorough reporting, the assessment process should include extensive research of the property’s past and current issues, adjacent properties, historical information, and local databases. The assessment should also include personal interviews and on-site reconnaissance. For the best results, environmental companies in Cleveland, OH should have more than just experience in the industry. They should have relevant experience in the region. Specific knowledge about the challenges and unique environmental conditions of Cleveland can provide invaluable insight. A local environmental company can also offer in-person meetings and expedited services if needed. You can count on them to be there for you when you need them. It’s difficult to know exactly what services you will need as you launch a project. The results of an initial evaluation may reveal the need for additional assessments or remediation. Your environmental partner must be proficient in all areas of environmental services to complete all aspects of your project from start to finish. This seamless service will create a streamlined process that addresses all areas efficiently and cost-effectively. As you review environmental companies in Cleveland, OH consider each firm’s track record of success. Do they offer proven testing and submission methods? Do a significant number of their projects receive approval? You don’t want to choose a company that is unlikely to achieve the results you desire. When it comes to environmental companies in Cleveland, OH, remember: You get what you pay for. It might be tempting to look for the lowest bidder, but this won’t provide the precision methods and detailed reporting you need to protect your future. You need experience, high quality and reliability. Avoid “values” that might offer initial savings on assessments but cost you in legal fees down the line. Not all environmental companies in Cleveland, OH are created equal. Simply because a firm provides environmental services doesn’t mean their technicians have all the qualifications they should. Inquire about the qualifications and certifications of the company’s personnel. Look for professional soil scientists, certified erosion and sediment experts, asbestos specialists, hazardous waste training, and OSHA training. With more than 30 years of experience, ENVi Environmental is the premier environmental company in Cleveland, OH. We prepare detailed and comprehensive Phase I ESAs that are compliant with the ASTM 1527-13 as standard practice. Our team leverages more than three decades of experience in Cleveland, OH to provide unique insights based on local knowledge of the region and its regulatory requirements. ENVi Environmental’s ENVi 360™ Solution includes the full spectrum of environmental services to meet the needs of complex projects from start to finish. Our clients enjoy full transparency, regular communications and complete reports. ENVi Environmental personnel include professionals who are certified and specialize in erosion, soil, sediment, asbestos, hazardous waste, and OSHA training.